Glowing skin. In theory, we know how to achieve it: Drink bottles — no, jugs — of water. Eat your omega-3s. Slather on a moisturizer, and pat on a serum or two while you’re at it. Many of us follow said conventional skincare wisdom, and consequently achieve radiant skin as a result. But a new standard of glow is coming to light. And like many aspirational skincare trends these days, it stems from the world of K-Beauty. “Glass skin, or yuri pibu in Korean, refers to translucent skin that is plump and hydrated — almost like a shard of glass,” explains Sarah Lee, co-CEO and co-founder of Glow Recipe. This is the most advanced form of radiance in the K-beauty landscape. The umbrella term for glow is “gwang,” Lee explains; under that is mul gwang, which translates to “water glow,” i.e. hydrated, dewy skin. “Glass skin takes water glow, or mul gwang, one step further with its luminosity,” Lee shares. (Search the hashtag #GlassSkin on Instagram and prepare to be enlightened.) The trend focuses on getting skin so glowy, it hardly needs makeup — a touch of concealer at most. So how does one achieve the impossibly crystal-clear skin look — beyond dunking your head in a bucket of water and hoping for the best? The approach is twofold: First, it requires developing a solid base (i.e. supple skin). Second, you need to track down a formula that’s capable of imparting an instant, high-gloss sheen. For the former, implementing a daily, ritualistic regimen is key — the “healthy skin habits,” as Christine Chang, Lee’s co-CEO and co-founder of Glow Recipe, puts it. “Glass skin is a long-term goal that Korean women achieve with their skincare regimen,” she says. One thing glass skin devotees do differently is the double cleanse. This is a skin-cleaning routine that involves two different cleanser formulas. Generally speaking, the first formula is oil-based (try the Josie Maran Argan Oil Cleanser, $50), with the idea that the oil melts away the first layer of grime, thereby allowing the second, water-based cleanser to do its best work (we like the SkinMedica® Facial Cleanser, $38). Chang advises devout double cleansing diligence, even on days when you skip makeup altogether. Consistent, thorough face-washing will help keep your skin clear (and your pores decongested). Naturally, making the skin as crystal-clear and glasslike as possible entails keeping hyperpigmentation — including sun spots — to a minimum. It should come as no surprise, then, that the absolute number one healthy skin habit according to glass skin gurus is year-round sun protection. (Chang dubs this the “golden rule” of Korean skincare.) 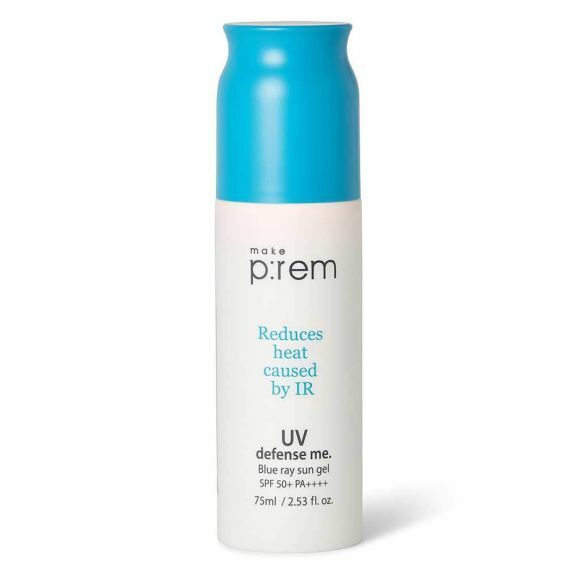 Try the Make P:rem Blue Ray Sun Gel ($30), which not only provides UVA/UVB protection, but can also double as a makeup primer on those days when your skin needs a little help looking flawless. Of course, all the cleansing and sunscreen in the world won’t guarantee glistening skin in the literal-most, light reflecting, hydration-drenched sense of the word. To achieve the most instantly glassy look, serum is a must. 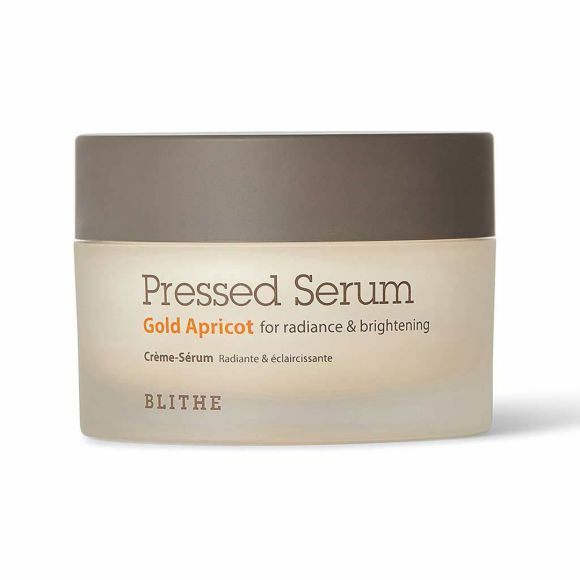 Lee swears by the Blithe Gold Apricot Pressed Serum. “It’s a brightening serum and hydrating moisturizer hybrid, with 31 percent apricot extract that gives skin an instant radiance,” she explains. Unlike traditional free-flowing serums, pressed serum is compacted into a potent, balm-like consistency. The luminosity it imparts (i.e. the most important quality for glass skin), lasts for a few hours post-application — without feeling sticky or greasy. “There are several ways fillers can make skin look more radiant and even,” confirms San Francisco-based dermatologist Dr. Vic Narurkar. “Think of a deflating beach ball,” he says. “When it’s deflated, it’s dull and inelastic. After reflation, it becomes plump and radiant.” That same concept applies to areas of the face that have lost volume with age. “Reflating these areas makes the overlying skin reflect light and thus skin looks more radiant,” adds Dr. Narurkar. Incorporating injectable wrinkle reducers — a temporary treatment that helps reduce muscle activity in areas like the forehead, crow’s feet, and elevens — can also promote a reduced-crease. To Dr. Narurkar’s point, smooth, plump skin is better equipped to reflect light. Temporarily smooth out the appearance of wrinkles in those facial regions can help. However, be aware that these injectable treatments are medical procedures, and (just like any medical procedure!) have potential risks and side effects. Talk to your provider about what the best course of action is for you and your skin. Once your skin is thoroughly cleansed, drenched in hydration, and ironed out, it’s on its way to looking as smooth and — almost — as clear as glass. Want to chat about injectables? Our trained aesthetic specialists are here to help! Get real aesthetic answers, right now from our trained specialists! Dr. Vic Narurkar has received payment from Allergan as a consultant. SkinMedica is an Allergan-owned product line.